When you hear the names Mad Hatter Recordings and Steve Mulder in the same sentence you know that you are coming across something very large. So without any hesitation we get these things going with filthy new single from Netherlands techno pimp and Carl Cox favorite Steve Mulder. The original track up for offer here is aptly titled Short Circuit and all about a building analog synth effect that gets bigger and bigger and bigger!!! Searing effects combine with the biggest kick and rolling bass line you have ever heard, yielding a monster of a floor filler. Extra special tweaks and edits have been added for that special Mulder feel that will have the big dogs frothing that the mouth to play it in the coming weekends. Big tune alert! Mad Hatter Recordings brought in the big guns once again and we launched right to the moon here with a lush ultra high quality remix from a true legend in the UK dance music scene, Mark Holmes. The game is deep here...with sultry over tones and eerie effects that combine to create a tribal stormer with class. Mark Holmes remix of Short Circuit is true late night gangsta business... perfectly mixed down and slated for that very picky after hours crew. Superb! Next up comes one man who just can't be stopped at the moment and is getting constant support from Carl Cox and many other heavy hitters on a consistent basis. Andy Slate has been making waves in the electronic music scene now for years and it's no wonder why he has such clout. This bright, clean, crisp, colorful and oh so nasty remix of his good friend and peer Steve Mulder is absolutely unstoppable. The production quality is 100% world class and the track its self is killer!! Cool chords, washing effects and old-school vocal samples deliver a dance floor gem that will be packing clubs and turning heads. This.... ladies and gentlemen is where it's at. Latin drums, uplifting synth stabs and filtered sweeps....HUGE!!!!! 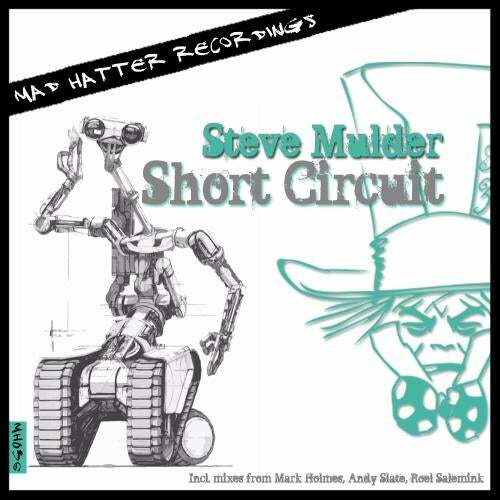 Wrapping up this wicked release from Mad Hatter Recordings and Steve Mulder comes a remix from Roel Salemink and it's a late night epic tech tribal killer. Perfect for those tranced out crowds just before the sun rises...Roel backs things off a bit from the original and includes his own synth layering giving the listener a warm vibey experience that screams give me more!! Futuristic effects and pumping percussive action get this baby moving. Get in! Expected big support across the board on this solid release from Steve Mulder. This single separates the men from the boys and nobody does that better for you than Mad Hatter Recordings.